Crisis in Venezuela, direction of Mercosur trade bloc and 2030 World Cup bid likely to be high on agenda for closed-door meeting. 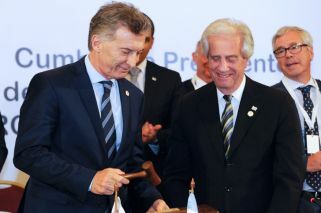 President Mauricio Macri will meet his Uruguayan counterpart Tabaré Vázquez on Wednesday for "open agenda" talks that will include the political crisis in Venezuela, the office of the Uruguayan Presidency has announced. The meeting will take place in the presidential residence of Anchorena, in the department of Colonia, some 200 kilometres west of Montevideo. The summit will be held in times of rising tension in Venezuela, where the opposition, led by self-proclaimed interim president Juan Guaidó has demanded that the military ignore President Nicolás Maduro's order to prevent the entry of humanitarian aid into the country. 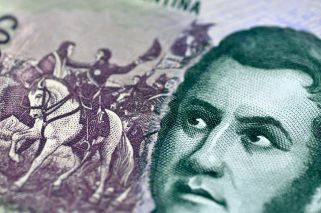 Argentina and Uruguay have taken different approaches to the crisis in the Latin American nation – while Buenos Aires has recognised Guaidó as Venezuela's interim leader, Montevideo has refused to do so, instead calling for dialogue between the two sides. Argentina is one of the 11 countries of the Lima Group (made up of 14 nations) that have recognised Guaidó. Last Thursday, the Uruguayan government hosted an international group of diplomats from eight European countries and three from Latin America (France, Germany, United Kingdom, Holland, Portugal, Spain, Sweden, Italy, Ecuador and Costa Rica, besides Uruguay) for talks designed to make a breakthrough. The summit ended with a call for free presidential elections to be held in Venezuela as a peaceful solution to the crisis of the Caribbean nation. Vázquez and Macri, who enjoy good relations, may also discuss their nations' joint bid with Uruguay to host the 2030 World Cup.